I was profoundly inspired by my beloved late Mae and Pa to help the children of Laos in any way possible. In January 2008, I visited Laos with my family to perform a cultural ceremony to honor and memorialize my parents that both had tragically died three years prior. It was my first time learning that my parents' annual trips to Laos wasn't just to have fun and eat good Lao food. The villagers shared with me the various contributions my parents had made to help the village, from a big fish pond to a water irrigation system to simply helping their family buy farm equipments. I was in awe at what they had accomplished with not having a whole lot to give themselves. If my parents can give than why shouldn't I be able to do the same? I wholeheartedly dedicate my service to the children in honor and memory of my angels, Mae and Pa. Being immersed in the lives of the villagers was an eyeopener for my family and I. I witnessed the villagers' kindness and generosity despite having so little. I saw myself and my own children in the sweet faces of the kids. The mothers were a reflection of who I would have been had my family not come to America. I felt an incredible blessing to have the life and opportunities that mothers and children in that village didn't have. My little family, especially my daughter, who was eight years old at the time, was deeply affected by the children and how they lived. In her pure innocence she asked me, "Mommy, why do the kids not have a playground in their school? Where do they play?" The next morning she presented me with her drawing of a playground for the kids and we knew we had to get a playground set for them. That was how the seed of Jai Lao was planted in a quaint village called Paktapanh. It's such an honor and blessing to serve the children of Laos the last nine years, and I will continue to do so till I'm too old and frail. In the service of others I have found myself and also lost myself. But eventually in this amazing journey I’ve come to discover my truest self embracing my roots and cultural heritage. I’m so grateful to have made lifelong friends that are family to me and who’ve encouraged, motivated and inspired me in so many ways. Connecting to supporters from all over the world is such a marvelous thing and I’ve enjoyed every minute of it. 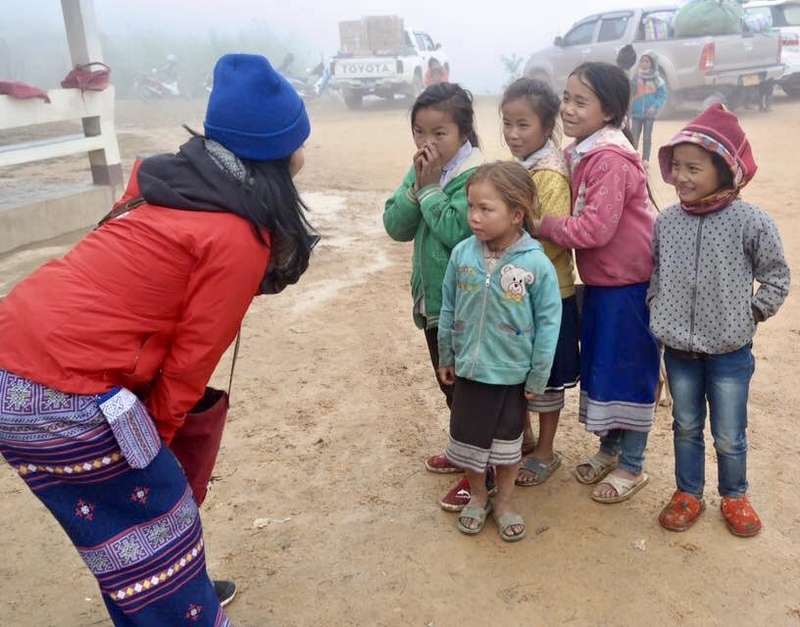 I set out to help bring smiles and hope to the children in the rural villages of Laos. Little did I know it would be the sweet and genuine kids who’d bring hope and joy to my own life. While dedicating countless hours to help children in need I forgot the trials and tribulations I was feeling in my heart. Their simple and carefree way of life inspired me to have a different perspective on life. My passionate desire to enrich their lives the way they have mine kept me dedicated and driven. We’ve been so blessed with opportunities living in a developed world and it’s our humanitarian responsibility and blessing to be able to give back to help those who aren’t afforded the opportunity to do so. I used the influence of social media to reach out to Laotians and share with them about charity and compassion for needs of the children. At the very beginning, I was on FB chatting a lot with perfect strangers about Jai Lao and Tui just didn't understand. I was so thrilled to make connections with people who shared the same passion! 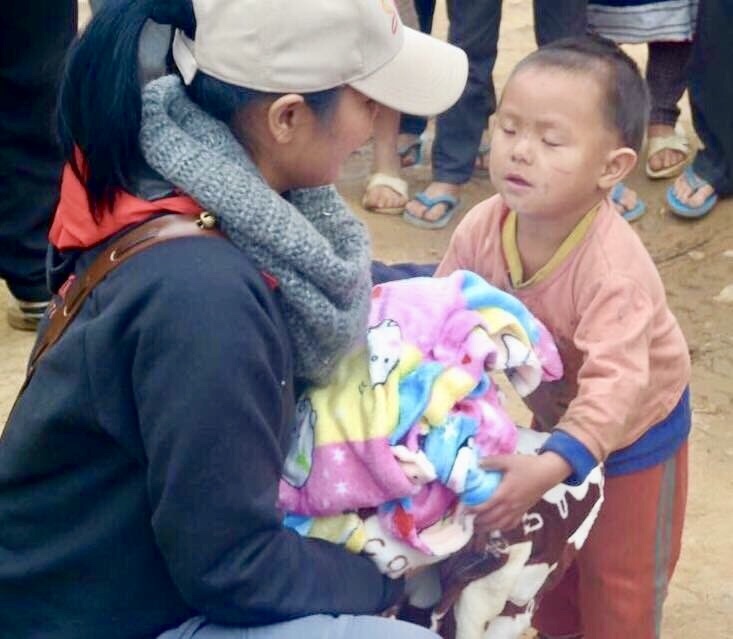 I faced some challenges trying to gain trust and respect in the Lao community, because there wasn't a reputable charity organization run by a Lao person that people had faith in. But eventually, Jai Lao's actions and results drew in supporters from all over the world. Earning a place in supporters' hearts is great but to gain love from the children is what keeps me dedicated and motivated despite the hurdles along the journey. My dedication to help the educational and humanitarian needs of vulnerable children in the rural villages is a lifetime commitment that has enriched my life with joy and peace. 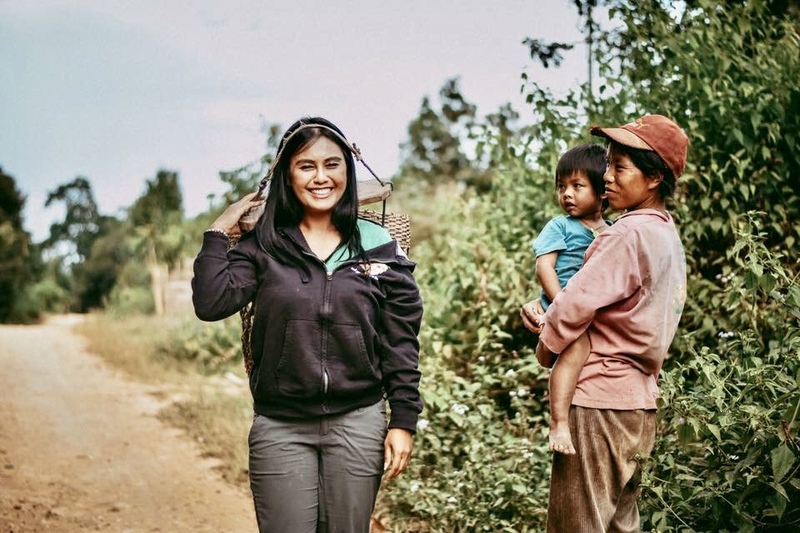 For me, it isn't just about building schools and providing the necessities of life, but I feel that Jai Lao builds hope in a more connected community of givers and doers. It's a vehicle of change to inspire, encourage and motivate others about the wonderful gift of giving. Together, we have made real progress in charity through building schools and hope and creating awareness about the conditions of vulnerable Lao children. I'm deeply proud of the advancement we've made for our community by dedicating to help and serve others. Building each other up is essential to our growth and progress. I cannot thank you enough for believing in Jai Lao's mission and having faith in the work that Jai Lao engages in. Without your invaluable support over the years, Jai Lao would not be able to build and renovate six schools and a library plus provide thousands of children with warm clothes and school supplies. In addition, Jai has awarded over $40,000 scholarship grants to college students of Lao descent in the USA. We may not be able to change the world but we can certainly make a difference in the lives of many children with even the smallest act of compassionate kindness. I hope that you’ll continue to give Jai Lao support whether it be moral, physical or financial cause some kind of support is better than no support at all. Let’s stick together like sticky rice and join hands and hearts for the children. Since Jai Lao started in 2009, I made a pledge that donations from the public at large will not be used for any purpose other than to help the children. Funds to cover operating expenses of running an organization comes directly from private donors and fundraisers, and volunteers serving on the Board also contribute annual Board dues to ensure that this promise is carried out. Jai Lao was founded on the aspiration to give back and help others, because we are in the position to do something to make a difference. Please join me and Jai Lao in paying it forward to serve and help children who once were like us not too long ago. My deepest gratitude to dear friends and family whose generosity and love over the last nine years has helped Jai Lao grow into what it is today. 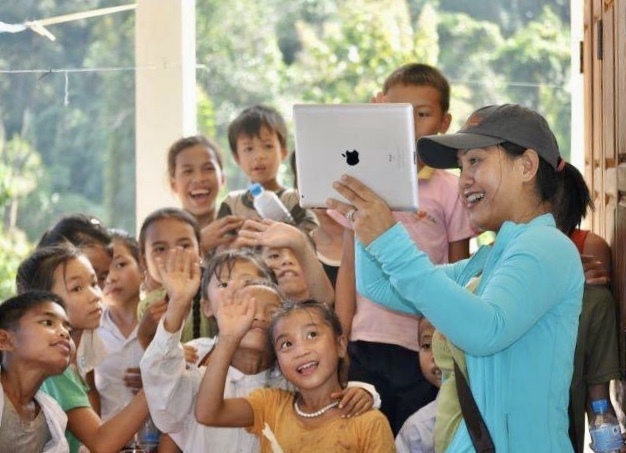 With your supportive contributions, I feel confident that we can make a bigger impact in the community for not just the children of Laos but our own children as well. I have been learning, growing and healing every step of the way with Jai Lao. I strive to balance my life as a mother, wife, humanitarian, volunteer, and other activities I enjoy. 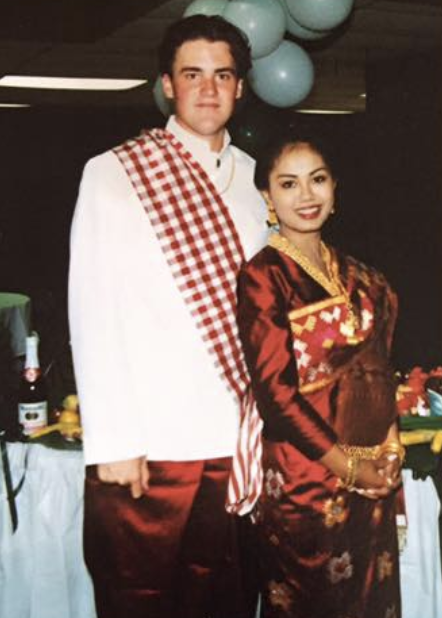 Prior to Jai Lao, I had no connection nor did I have any interest in the Lao community and culture but over the years, my love and passion for both have grown so deep that my late parents would be proud. Cooking and sharing Lao cuisine and culture is one of my greatest enjoyment next to spending time with my family. If you don't see me in her kitchen cooking up a storm, I'm either in my backyard gardening, gone camping for the weekend or traveling to discover other cultures of the world. But you may run into me in your state at a Wat Lao New Festival cause I enjoy being immersed in the Lao culture.